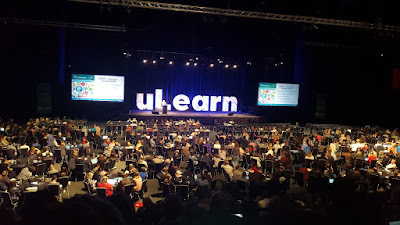 As a Spark-MIT Innovative Teacher, I have been given a great opportunity to spend three days attending the ULearn Conference in Hamilton. When we arrived Wednesday morning, our first session was with Keynote Speaker Eric Mazur who is a Physics Professor at Harvard University. The first half of his presentation was very interesting because it outlined and solidified what we have been inquiring into using critical thinking to develop dialogic conversations, especially using the Socratic method of questioning. What am I going to do differently in my classroom this year? Is it merely the transfer of information? Definitely not! Then, what is it? Learners need to do something with the information they are given. -So as an educator, how do you make this happen???? Assimilation of that information-When did the “aha” moments occur? We are born with an innate curiosity to know why things happen….Our challenge as educators is to turn that curiosity back on! As teachers, we WANT every student ready at the beginning of the term ready to learn in class. Perusall: Every student prepared for every class. Application used to prepare students for class. Interactive (asynchronous peer instruction) Collaboration with reading a document outside of class.